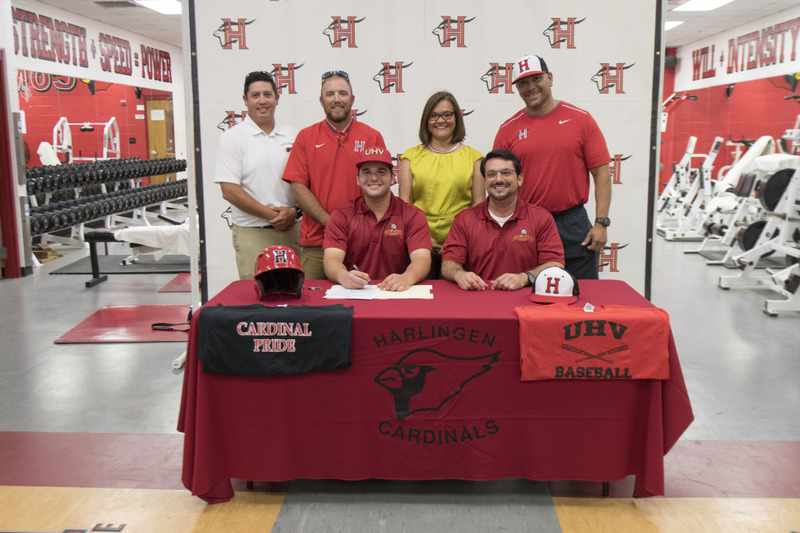 Harlingen High School baseball player Alex Hinojosa III signed his letter of intent to play first base at the University of Houston-Victoria. Students, coaches, community members, college representatives and administrators joined in the excitement during the official signing ceremony held in the Cardinal Athletic Field House on April 20. The University of Houston-Victoria is a NAIA school and participates in the Red River Athletic Conference.